Scaletec believe in providing the best weighing scales and measuring equipment to meet user requirements at affordable prices. We list products from weighing equipment manufacturer's Adam Equipment and MKlab that are suitable for use in a wide range of industries including laboratory and medical, industrial and commercial, agricultural and veterinary, education, and food production. 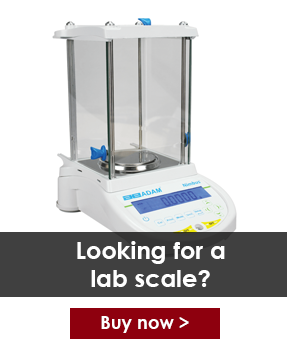 We specialise in laboratory and industrial weighing scales, providing magnetic stirrers, hotplates, analytical balances and moisture analysers for science lab experiments and research, as well as industrial platform scales, worktop bench scales and hanging crane scales for heavy duty applications. We also stock specialist commercial equipment including money counters and checkweighers for accurate stock taking, checkweighing, currency and parts counting solutions. If you cannot find the right weighing scale or balance for your needs in our online scale shop, or if you require help choosing the best scale for your needs, then please contact us via our custom contact form or call our nearest South Africa branch today: Durban 031 564 8755 or 021 982 0928 Cape Town.